Having positive moral traits is central to one’s sense of self, and people generally are motivated to maintain a positive view of the self in the present. But it remains unclear how people foster a positive, morally good view of the self in the present. We suggest that recollecting and reflecting on moral and immoral actions from the personal past jointly help to construct a morally good view of the current self in complementary ways. More specifically, across four studies we investigated the extent to which people believe they have changed over time after recollecting their own moral or immoral behaviors from the personal past. 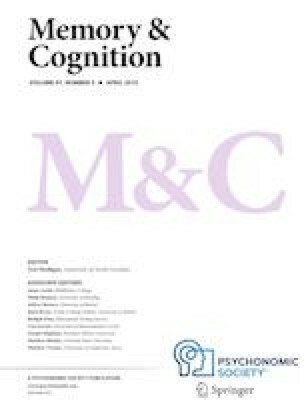 Our results indicate that recollecting past immoral actions is associated with stronger impressions of dissimilarity and change in the sense of self over time than recollecting past moral actions. These effects held for diverse domains of morality (i.e., honesty/dishonesty, helping/harming, fairness/unfairness, and loyalty/disloyalty), and they remained even after accounting for objective, calendar time. Further supporting a motivational explanation, these effects held when people recollected their own past actions but not when they recollected the actions of other people. The online version of this article ( https://doi.org/10.3758/s13421-018-0880-y) contains supplementary material, which is available to authorized users. This project was supported by Duke University thanks to a Bass Connections grant. This project was also supported by the John Templeton Foundation. The opinions expressed in this publication are those of the authors and do not necessarily reflect the views of the John Templeton Foundation. The authors declare that they have no conflicts of interest with respect to their authorship or the publication of this article.